Today’s post was brought to you by the concept of flour through the ages. I have a very sketchy ability to recall my own history let alone the history of the rest of the world but somewhere in the back of my mind I remember a history lesson regarding how important the growing of cereal crops was to the history of mankind. It meant that we would no longer need to be nomadic and that there would be a degree of surety regarding our food supply that was previously reliant on the hunting of large and dangerous creatures to feed us. Maybe that’s where vegans started as well…who knows! All I know is that it meant that people tended fields of grain while others went out to catch the mammoths and that’s where humanity started to really appreciate the concept of community. Everyone had a job, and the cereal became the backbone of the community. Very early on we humans learned that a loaf of bread (albeit unleavened and most probably somewhat tasteless) was a valuable thing when the mammoths went on their annual sabbatical to wherever they went (most probably the La Brea Tar Pits) and being able to harvest perennial grasses allowed communities to grow and prosper. 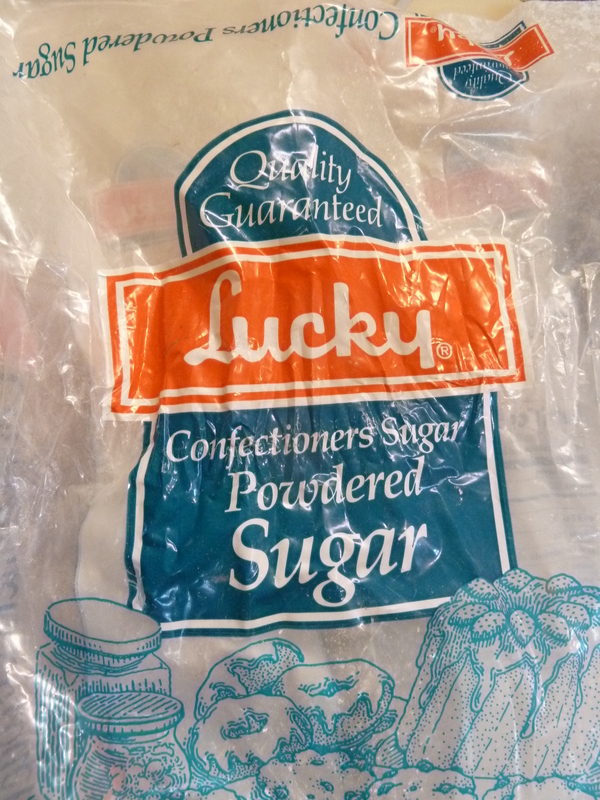 The production of flour allowed a community to store food and once food was stored it could be bartered for other food and goods and services, and over a period of time commerce was born. Flour, and that tasteless loaf of unleavened bread was incredibly vital to how big a community could grow and how far it could travel to meet up with other small communities. 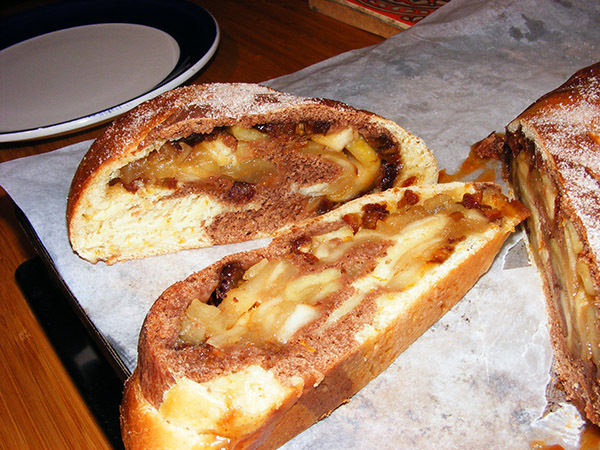 A Roly Poly Tiger Stromboli created from a savoury Stromboli recipe after wondering if a sweet version might be nice…it was! Where our communities were once reliant on spreading the grain love for survival, we now share recipes to rebuild a sense of community…we have almost come full circle. I shared how to make a wonderful pizza, calzone and Stromboli dough with a wonderful friend who was staying with us recently. She can now take the recipe back home with her and share it with her friends and family to make their lives richer. Humble flour still enriches our lives even though our lives are a whole lot easier than they once were. Where would we be without bread, birthday cakes and pizza? 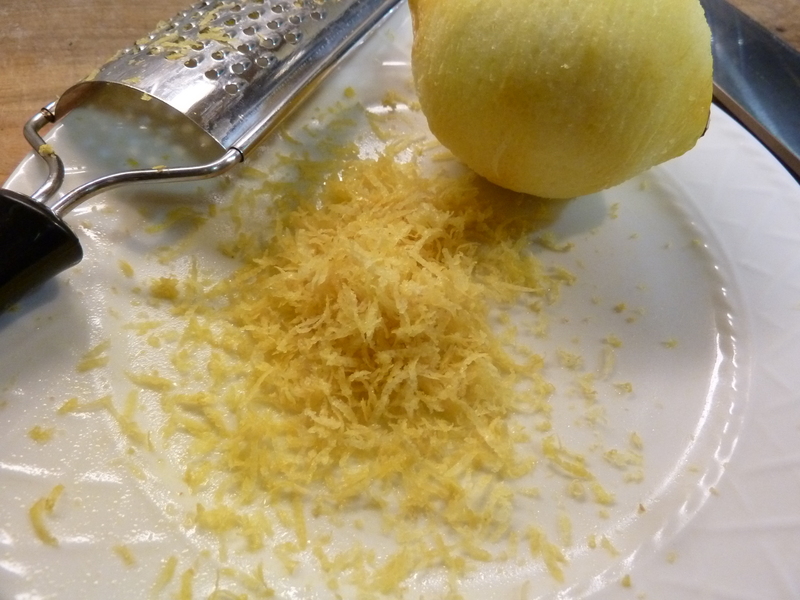 I am starting to see posts around blog-land about lemons coming into season. Lemon is a favorite fruit and used in so many different ways for many people for so many reasons. Lemonade on a hot summer day. Lemon cakes. Candied lemon peels. I could go on and on and on. For a recent cookie exchange with an herbal culinary group that I am involved in I thought long and hard about what I was going to make. 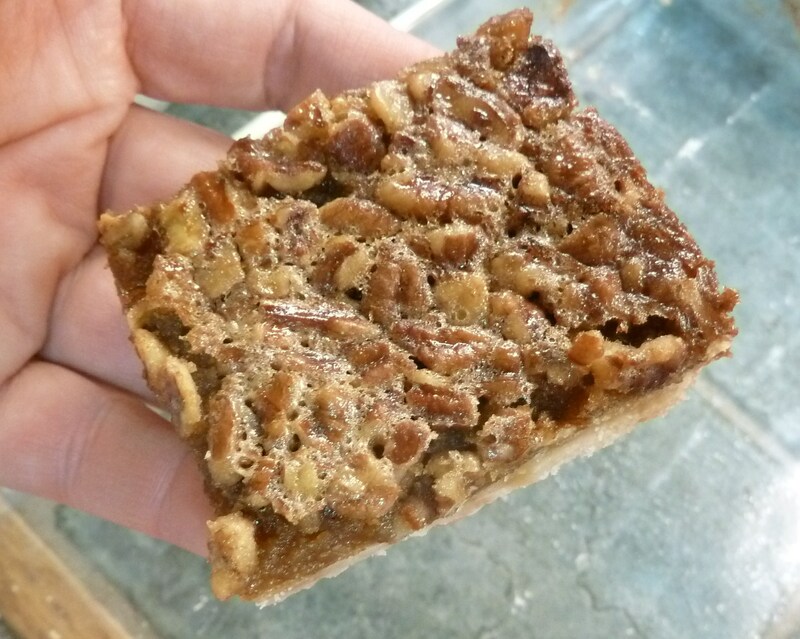 Last year I had the brilliant idea to make cardamon peanut brittle, which didn’t work and it forced me to regroup and come up with something else. The day before I needed to have 12 dozen herbal cookies I fell back on a basic Mexican Wedding cookie and added the cardamon to it. They turned out great. This year I made rosemary lemon cookies. Man-o-man were they good. 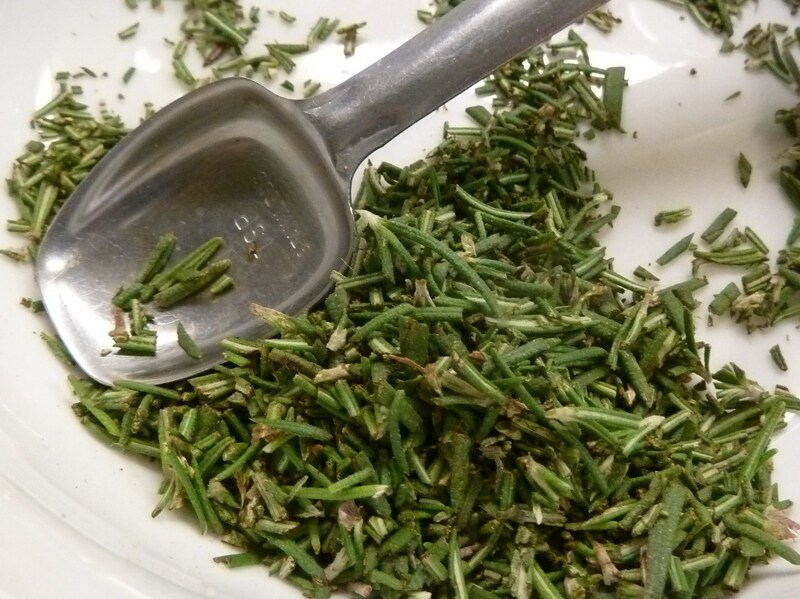 Beat butter, sugar, rosemary, lemon, baking powder, salt and vanilla in electric mixer until completely combined. Beat in flour, one cup at a time until it is all combined. 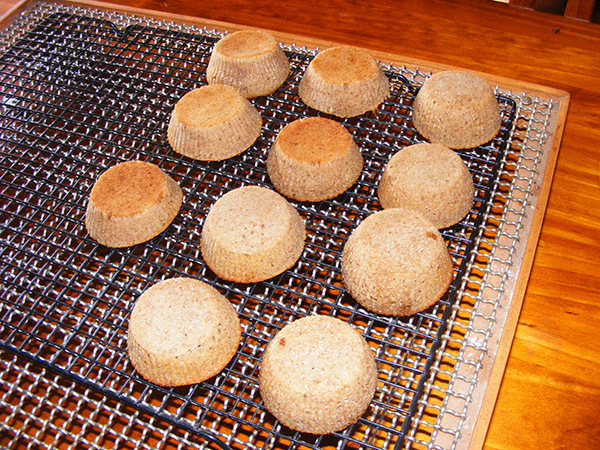 Flatten balls with the bottom of a glass that is buttered and dipped in sugar. Bake at 400F for approx. 8 min, or until lightly browning on edges. 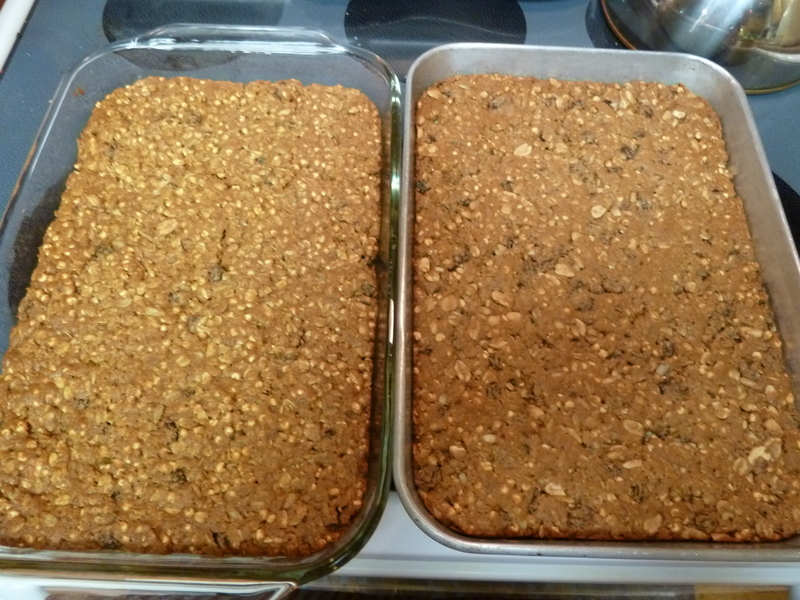 Allow to cool on cookie sheet for 1 minute. 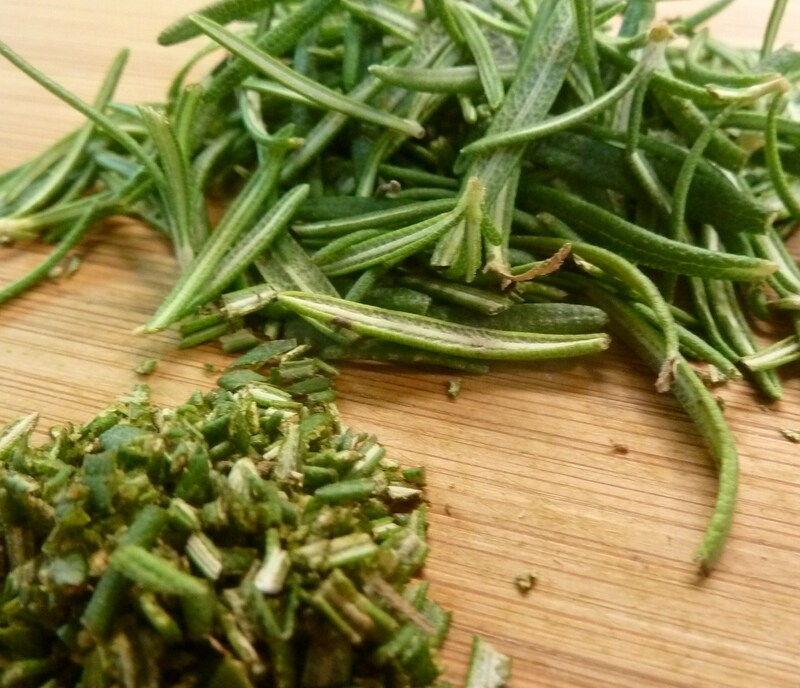 You will taste the lemon right away and after a few seconds have gone by the rosemary flavor will come through ever so slightly. I loved that. 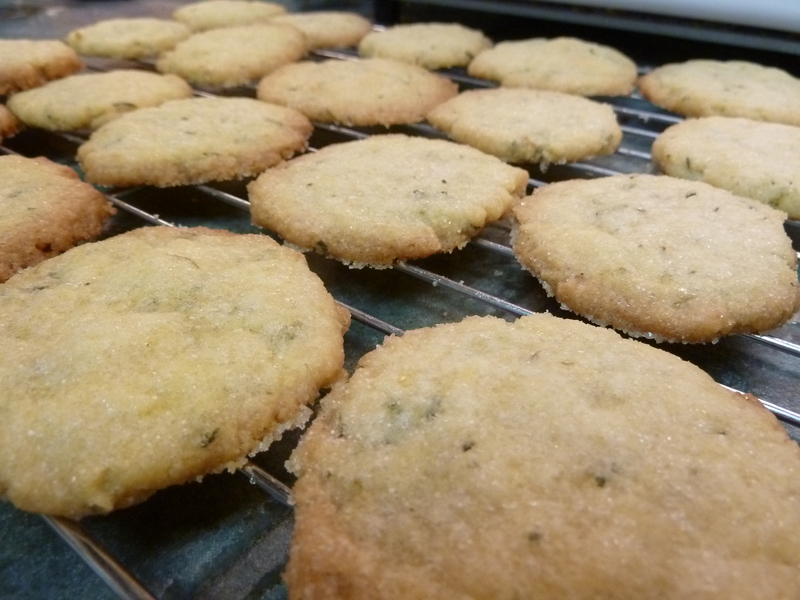 I also loved the thinness and crunch that these cookies had, and I can see myself using this cookie base for other herbs and spices like ginger and cinnamon. Do you prefer a crunchy, crispy cookie or one that is soft? We had a couple of requests for bread recipes this past week so I thought I’d be obliging and share our Cinnamon Swirl bread. This is the bread that my daughter asks for almost every morning of the week. It’s fantastic toasted and supremely decadent served up as french toast. 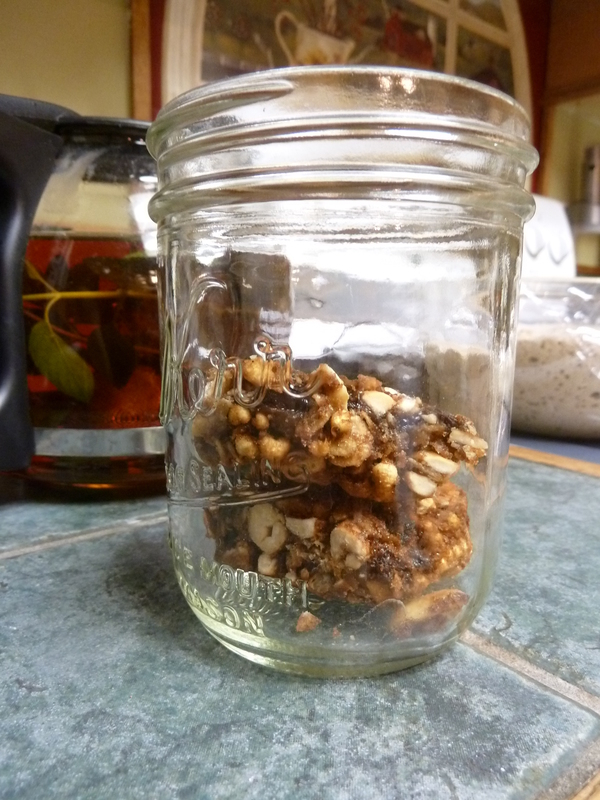 I’ve used both dried cranberries and raisins as a filler, but it would be fantastic with diced dates or prunes, dried apples, or any other dried fruit, and seed. I hope you enjoy! 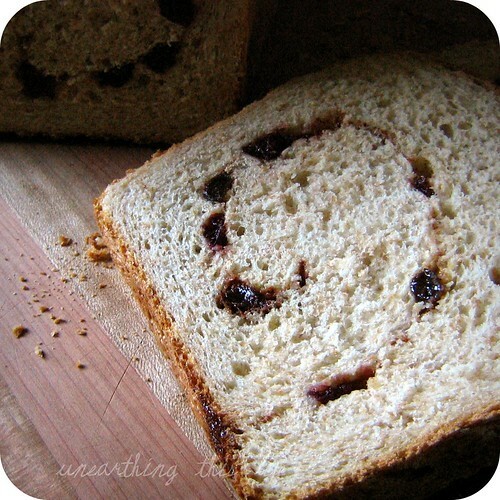 My recipe is based on this one published in Bread Baker’s Apprentice and shared by Smitten Kitchen. I’ve altered it to suit my family’s needs. I always add 1/2 cup unfed sourdough starter (the perfect way to use up “waste” when you’re feeding it). You can also substitute 1 Tbsp of whey for water. In a large bowl mix all of your dry ingredients. 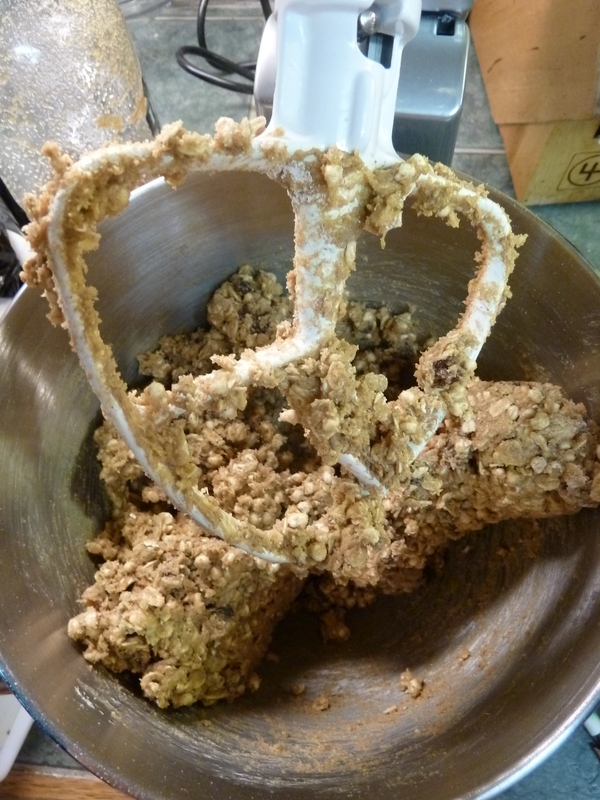 If you’re using a stand mixer you can begin adding about 1/3 of the dry mixture using your paddle. Once that’s very well incorporated switch over to your dough attachment. 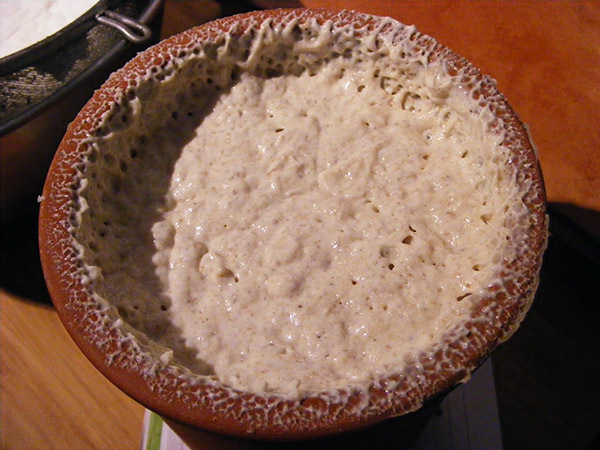 Continue adding flour until the dough begins to work up your hook. You’ve added enough dry mixture when the dough resembles a tornado and the sides of the bowl are clean. Allow the dough to mix on medium speed for about 5-6 more minutes. Oil a bowl (I like grape seed oil but have used olive oil as well) and roll dough in the bowl to cover with the oil. Cover the bowl with a damp towel or plastic wrap and allow it to rise for 1 to 1-1/2 hours or until doubled in size. 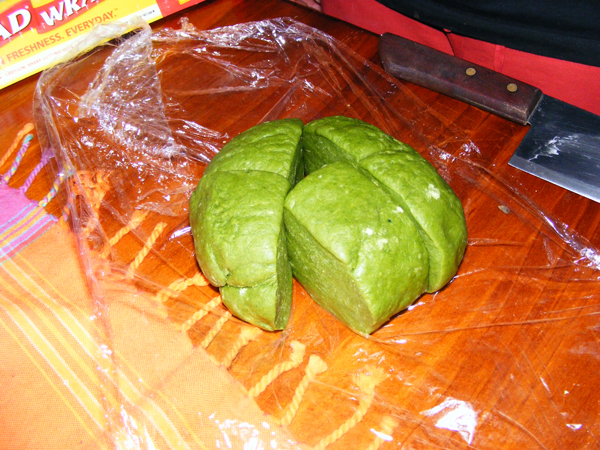 Lightly sprinkle flour on workspace and gently roll out dough. 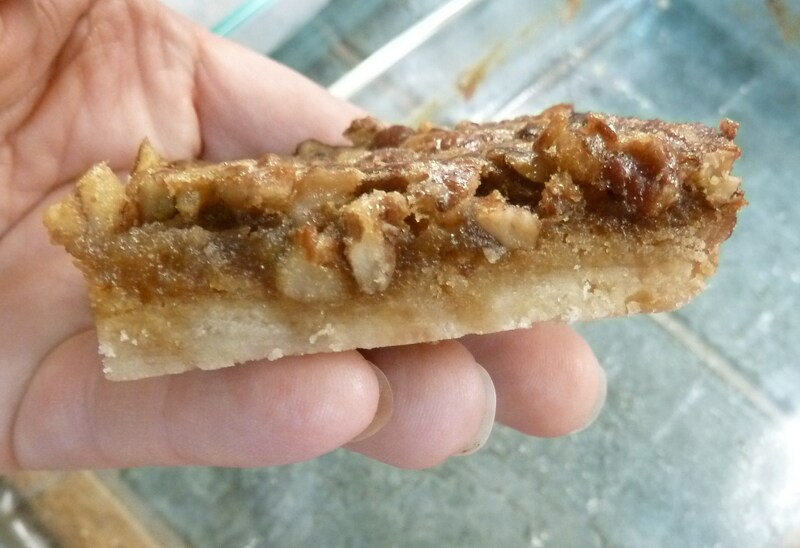 Very carefully pull and shape the dough to form a rectangle about 8 inches by 12 inches. 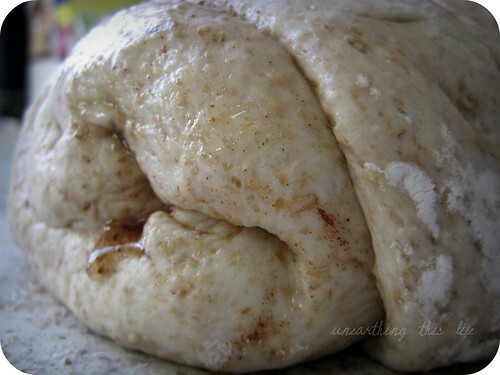 You don’t want to release any of the air trapped in the dough by handling the dough roughly. Drizzle your honey all over the top of the dough. 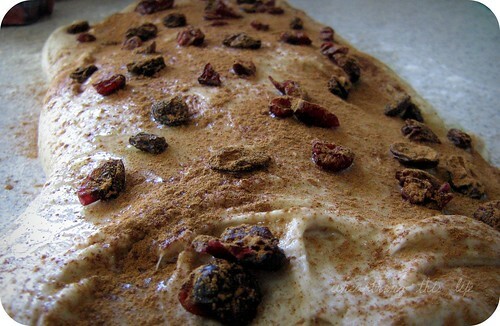 Sprinkle with your dried fruit and finally the cinnamon. 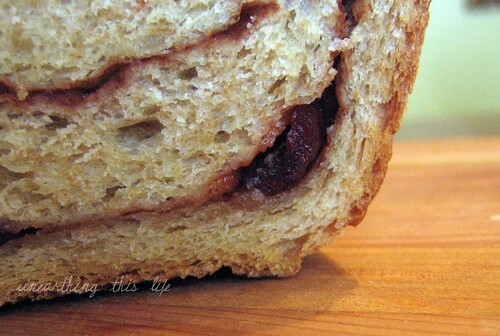 Carefully roll up the rectangle of dough to form the swirls and set inside an oiled bread pan. Cover pan and allow to rise for another hour or until bread rises just past the top of the pan. 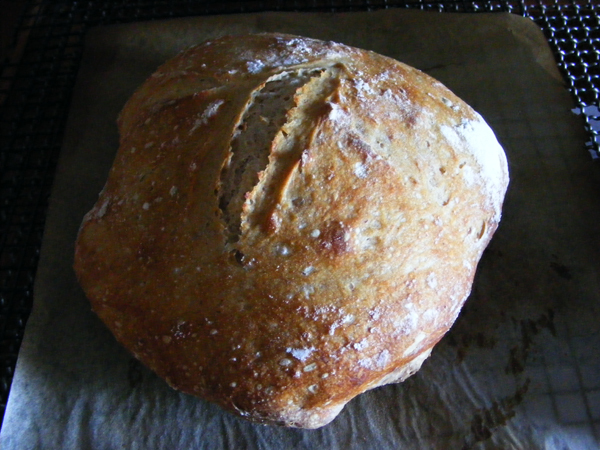 During the last 20 minutes of rising, set your oven to 350 F.
Bake bread for 30 minutes. Turn bread around for even baking and finish baking for another 10-15 minutes or when internal temperature reaches 205 F.
When bread is done baking, turn out immediately on a cooling rack and try to be patient before you cut into it. Okay, okay, 10 minutes should be okay but a half hour is even better! 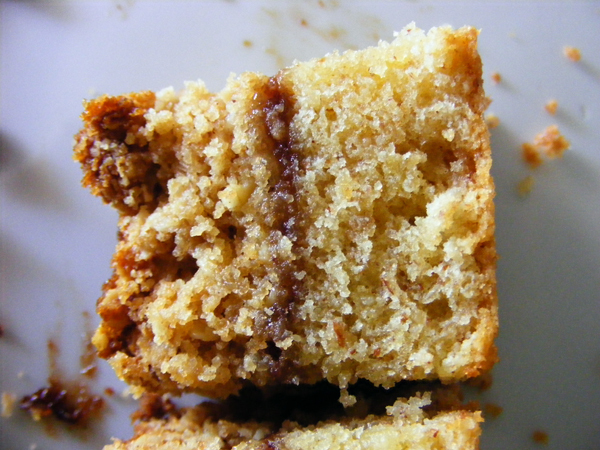 Slice off a good hunk and top with some homemade butter and, if you have a real sweet tooth, a drizzle of honey and enjoy!! You can find Jennifer over at Unearthing This Life where she blargs about her life with one Kid, one Hubby, two cats, and seven chickens. Yes, the boys are outnumbered.